We have an excellent opportunity for a Graphic Designer to join our small, friendly, rapidly growing team of highly specialist Food and Beverage brand consultants. NSW Department of Industry The NSW Department of Industry (DOI) leads the state government’s contribution to making NSW a fertile place to invest and to produce goods and services, as well as create jobs and opportunities for citizens. DOI support all areas of economic activity where NSW has competitive strengths, deliver a wide range of training and specialist advisory services and help to secure efficient and dependable government decision-making that contributes to business confidence. NSW Department of Education The Department of Education International (DE International) is the international unit of the NSW Department of Education. DE International manages the international student program for all NSW government schools including application, enrolment and compliance for overseas students studying in NSW government schools. DE International compliance staff work closely with schools and homestay providers to ensure students learn and live in safe and supportive environments. The unit also facilitates study tour groups to NSW government schools. Groups include students, teachers, education officials and overseas government agencies. Hays Specialist Recruitment is looking for a talented and driven candidate to join our Marketing function in Greater China as Senior Marketing Executive. Bindaree Beef Group is Seeking a Food Sales Service Manager. The Camel is looking for an enthusiastic, creative, and experienced F&B professional to manage The Camel Sports Bar located at 1 Yueyang Rd, Shanghai. 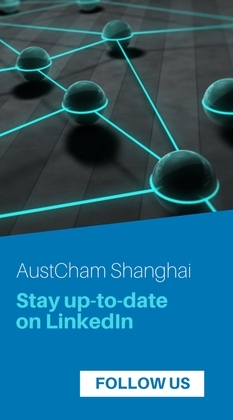 This position, located in Shanghai, plays a key role in identifying, developing and promoting business opportunities in China for South Australian companies as well as attracting investment from China to South Australia. This position, located in Shanghai, plays a key role in promoting South Australia in China and produce consistent state branding across trade, investment, international education and immigration activity. QPSoftware, a Shanghai-based agency delivering digital products for start-ups and large corporates in China and abroad, is seeking a Tech team lead – Scrum master. QPSoftware, a Shanghai-based agency delivering digital products for start-ups and large corporates in China and abroad, is seeking a SEO and Digital Marketing (Chinese Speaker). QPSoftware, a Shanghai-based agency delivering digital products for Start-ups and large Corporates in China and abroad, is seeking a Full Stack PHP Developer. QPSoftware, a Shanghai-based agency delivering digital products for Start-ups and large Corporates in China and abroad, is seeking a Mini Program Frontend Developer. St. James’s Place is a FTSE 100 company and one of the largest wealth management companies in Asia with over $184b AUD of client funds under management. We have over 25 years of experience and have offices in Hong Kong, China and Singapore as well as throughout the UK. We are now represented by 3,800 qualified advisers across our global partners. Contineo Marketing is seeking a Accounts Manager responsible for market development in China. The Silk Initiative is seeking a Analyst who will play an integral role in collaborating on strategic engagements and fieldwork to help the team address the client’s insight and strategy needs. The Silk Initiative is seeking a Associate Consultant who can help our clients identify, build and grow their food and beverage brands in China. The Silk Initiative is seeking a talented, bright and creative Business Development Intern to help grow their brand. Mao Academy is seeking a TESOL qualified teacher to be part of the team in Shanghai, Hong Qiao office teaching Business English Class. The Silk Initiative (TSI) is seeking a Senior Client Manager who can help our clients identify, build and grow food and beverage brands in China. Way2China specialises in cross-border mergers & acquisitions between China, Germany, Japan and other countries, overseas corporate bond issuance and corporate strategy consulting.